We update this Blog and NW Arkansas Vacation Calendar regularly so our guests will know what's happening each week-end in every season. Just click on the orange "RSS" button in the upper left corner of this page to subscribe. That way you'll never miss an opportunity to have fun in the Ozark Mountains. 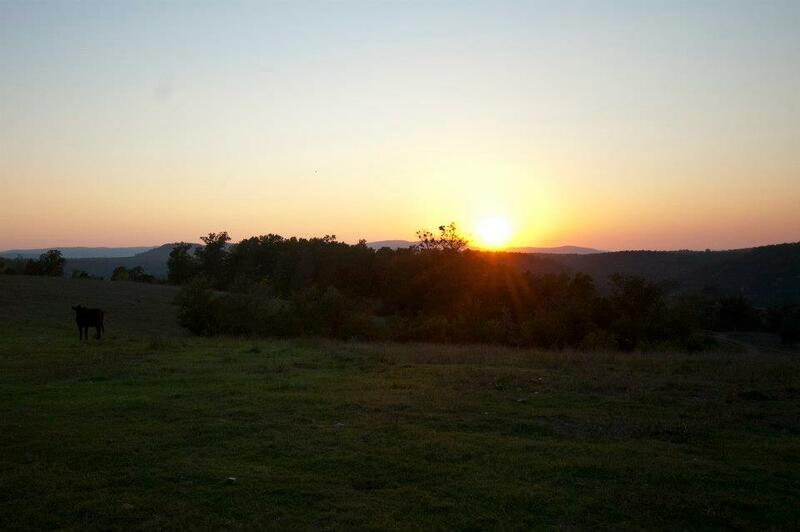 We're located just a short drive from lots of area attractions in NW ARK and SW MO. Northwest Arkansas Travel Packages: Northwest Arkansas Travel DISCOUNTS on cozy log cabin lodging for friends and family outdoor recreation. Continue reading "Northwest Arkansas Travel Lodging Deals for Couples, Families, and Groups"
The Searcy County Chamber of Commerce has just issued the 2013 calendar of events. Go to the link below for more information or find them on facebook at "Searcy County Arkansas Chamber of Commerce" for all the news that is news in Buffalo River country. The calendar will be updated on a regular basis, so check it out often. Continue reading "Area News for 2013"
Best ATV Riding in Arkansas, Missouri, Oklahoma, Louisiana, and mid-USA! ATV Riding in Natural Beauty:ATV riding in all seasons is great family fun on our PRIVATE farm roads. Buffalo River country is perfect for 4x4 trails and dirt bike trails. Continue reading "Best ATV Riding in Arkansas, Missouri, Oklahoma, Louisiana, and mid-USA!" Saturday October 6, 2012 expect lots of fun for the entire family in Marshall, AR . Parking is FREE This year, the Annual Fly-In features a mini air show with the famous Powerchutes. Bluegrass, Country, and Gospel, Music will fill the airport hangar all day. Outside, you will find food tents, crafts, and plenty of interesting displays. Call Jack Treat at 870-448-4488 for more information. Also, learn more at the http://searcycountyarkansas.org/airport/2012-flying-jam. Continue reading "Best Cabin Rental for Couples, Kids, Hunting, Fishing, and 4Wheelers"
Buffalo National River Ozarks Mountains Make the Buffalo National River in the heart of the Ozark Mountains your Arkansas and Missouri vacation trip planning headquarters. 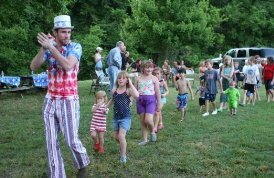 Continue reading "Buffalo National River Ozarks Mountains Family Vacation Trip Destinations"
Summer time is FAMILY REUNION time at Bear Creek Log Cabins in Buffalo National River country. Families gather here from Arkansas, Missouri, Louisiana, Oklahoma, Kansas and all over the USA. Our rental cabins are great for reunion games and activites for all ages. 22nd annual North Arkansas Ancestor Fair: Focusing on Arkansas Civil War Sesquicentennial with speakers Russell Baker and James Johnston. FREE genealogy swap meet. Admission: Fee on June 3 for speakers. Saturday, May 28 2011 come up on the mountain to Witts Springs, AR for the 24th Annual Hillbilly Daze if you like parades, good country fun, and great food. Everyone is encouraged to enter the Parade and compete for CASH Prizes! All old cars, ATVs, Horses, Floats, Bikes, Wagons, and Marching Groups are WELCOME!! 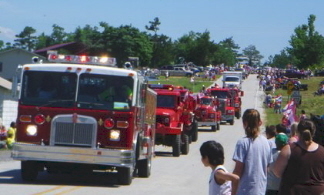 Children love the special KIDS Parade and everybody has fun on the Treasure Hunt Plus there will be fried catfish, chicken strips and jojos and lots of music all day. Leslie, AR Arts and Heritage Committee sponsors a local Farmers Market, Crafts Show, and open-air Music event every other Saturday throughout the Spring and Summer seasons. Call 870-504-1034 for more information. April 1 - May 31, 2011 Branson welcomes everyone to enjoy all their American AND internationally inspired entertainment experiences. Branson theaters, restaurants and shopping venues will be representing countries from all around the world with special shows, food and music. You can enjoy all the good things Branson MO offers while saving money and escaping from the crowds there by staying at our cabins. We're just an hour and fifteen minutes from the city center. But the nights are peaceful and quiet here. Buffalo River ELK ARE BACK! The wild elk have returned to our pastures big time! They never really went away - in fact some of our guests reported seeing them all through the winter. But SPRING is a GREAT TIME for wild elk viewing from the porches of our cabins and while you go 4wheeling on our ranch. Our thanks to Lee Walsh of the SearcyCountyChamber.org for this elk photograph. Access to the national river is open all year. Some facilities may be closed or have limited operating hours during the winter months. But things will soon be getting into full swing again as the weather warms up. Most visitors come to float the river by canoe, tube, or kayak. While others may choose hiking, picnicking, horseback riding, fishing, hunting, wildlife viewing, visiting historic districts, and bird-watching. Whether you prefer being on the river, exploring other areas of the park, or attending ranger lead programs, you can always find something to your liking. Celtic folk songs and instrumental music will fillthe cathedral-like atmosphere of Blanchard Springs Caverns in honor of St. Patricks Day. An elevator transports you down deep in the earth to enjoy the beauty of the cave rooms while listening to regional interpretations Celtic Classics. Matinee performances on Saturday Mar. 19 & Sunday March 20 start at 2:30 & 4:30 P.M.
VIPs (Volunteers in Parks) help support and preserve the Buffalo National River in many ways. A select number of Campground Hosts are needed each year to provide assistance to campers and other Park visitors. NOW through March 1, 2011 Blanchard Springs Caverns will be offering their incredible 4-hour guided trip into UNDEVELOPED portions of Blanchard Springs Caverns where the public in not usually allowed. This exciting tour ends at the spectacular Titans formations. for cave tour schedule and fees. The National Park Service is seeking public and agency input for its Programmatic Environmental Assessment for Exotic Plant Management Plan proposed treatment plans. The environmental assessment will evaluate potential impacts to the natural, cultural and human environment from treatment and management activities related to the proposed action. The purpose of the project is to address the eradication of exotic and invasive plant species within the 14 parks that make up the Heartland Network, including Buffalo National River. During this scoping period, the public is welcome to identify any issues or concerns they may have with the proposed project so that they may be appropriately considered in the environmental assessment. We will post additional information about this important issue as more details become available. Buffalo National River's visitor contact facilities at Tyler Bend (U.S. Highway 65) and Buffalo Point (state Highway 14) closed Friday and Saturday, Dec. 24 - 25 for the Christmas holiday and will be closed Friday and Saturday Dec. 31-Jan. 1 for the New Year holiday. Tyler Bend will resume regular operations on the Sundays following each closure. Phone (870) 439-2502 for information. Buffalo Point will resume operations on the Tuesdays following each closure. Phone (870) 449-3411 for information. Visitors are advised to call the park dispatch at (888) 692-1162 to report any emergencies. A WORLD-CLASS art collection will soon be available to NW AR visitors at Crystal Bridges near Bentonville. The Sam Walton family is providing a one of a kind cultural and educational center in the natural beauty of the scenic Arkansas Ozark Mountains. They call it Art Framed by Nature. Opening date for the new museum of 11-11-11 (November 11, 2011) will be here before we know it. We welcome the Crystal Bridges to our area and look forward to sending our visitors there. Already, along the Crystal Bridges Bike and Walking Trail, Crystal Bridges Museum has installed an observation deck that will give visitors the opportunity to watch the museum construction progress. Several months before opening the museum they will take the structure down to revert that area back to nature. For more information about the trails and the museum itself, visit the Crystal Bridges Museum website. Eleven collections of Tim Ernst wilderness photographs have been published as coffee table picture books. His best-selling hiking trail guidebooks include The Ozark Highlands Trail Guide, Buffalo River Hiking Trails, Arkansas Hiking Trails, the Ouachita Trail Guide. 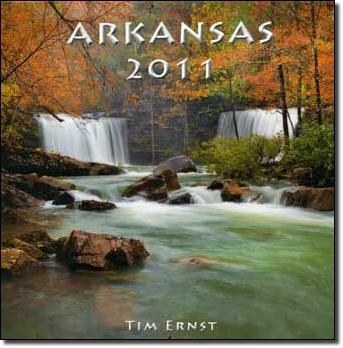 His newest guidebooks include the Arkansas Waterfalls Guidebook, which details more than 130 great waterfalls all over the state and Arkansas Nature Lovers Guidebook.